Fred Downs is a retired National Director of the U.S Department of Veterans Affairs (VA) Prosthetic and Sensory Aids Service (PSAS) and a current business owner of Fred Downs LLC., a VA certified Service Disabled Veteran Owned Business that has provides consultant work for the Paralyzed Veterans of America, McKinsey and Co. MITRE, IBM, HP, and Truven. Mr. Downs served as a as a combat platoon leader in the Vietnam War and went on to serve 38 years in the VA. 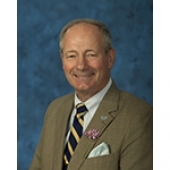 He began his career with the VA as a management analyst in Denver, Colorado, in the early 1970s and became director of PSAS in 1980. He also served as chief procurement and logistics officer and chief consultant of PSAS for the VA's Veterans Health Administration. During his leadership, PSAS became the largest and most comprehensive provider of prosthetic devices and sensory aids in the world. Today, Mr. Downs continues to advocate for the VA and its services. He is also a highly regarded subject-matter expert who advises on healthcare administration, financial management, logistics, procurement, and supply-chain management.